So for 2018, I would hope Avid finishes up its title tool. Also, most importantly, the ability to export your timeline directly to a H.264 MP4 file but not through Quicktime. For us PC users, exporting anything as a Quicktime is extremely and painfully slow. Perhaps like a "Adobe Media Encoder"-like program inside Avid to be able to encode to H.264 and H.265 would be very helpful. Right now I keep having to round trip AAFs from Avid to Premiere Pro and back for certain functions. Premiere Pro has an excellent title tool where you just literally type anything on the screen. Very helpful. Thanks and look forward to your thoughts and comments. what about that bug where audio plugins sometimes won't open until you load another plugin? what about that bug where focus gets stuck within an audio plugin until you click record monitor. Why does DNxHR LB media work for a week an suddenly becomes unsupported. refreshing grouped clips on timeline would be cool if it actually worked. Having grown cynical in my old age, I'm convinced that software companies regard fixing every bug in a present version as comercial suicide. In a similar way that for drug companies, finding cures for desease is comercial suicide, better for them to find a way to medicate people for life. In software development that bug free version, in which all the features work as they should, will always be peeping up from beyond the next subscription. The reality is, it can never be any other way. Mix down Video and Audio in Mc make a sequence of just those mixdowns. Do a Same as Source export to make a master final file. Then use an external app to transcode to H264 or whatever. But agreed a quick simple h264 export for review copies is a must. Get rid of Frame Flex. The 3D Warp tool should be able to handle footage of any resolution and pixel aspect ratio. The current limitations of Frame Flex are below standards for current NLEs and really get in the way of proper post production. After that, we can talk about the tools missing from 3D Warp. To do this the 3D Warp tool would need a complete rewrite. FrameFlex is resolution independent. 3D Warp is resolution dependent. Take the example of cropping a 4K frame to HD. With FrameFlex you crop to 50%. There's no scaling involved; you get a 1:1 pixel HD output. When you use 3D Warp you have to scale to 200%. This does a resize, quadrupling the number of pixels (doubling the resolution) and producing a blurrier image. Easy way to see this is to create an HD project and link a 4K video. Make a sequence, drop in the video, and duplicate the sequence. On one of them add a FrameFlex sized to 50% (center crops to an HD frame). On the other add a 3D Warp and scale to 200% (also center crops to an HD frame). Now compare the two for clarity. Not that I'm against having a single tool like 3D Warp as the jack-of-all-trades; but changing the behavior may create issues for older projects. Or not. But then again, I also want to change the behavior for a bunch of tools, but that would break a lot of older projects. Premiere Pro has an excellent title tool where you just literally type anything on the screen. I still use the old Title Tool for many quick & dirty HD projects. MC needs to update the Title Tool to work in 4K and at minimum incorporate some of the features that have been in Marquee for years. Fast titling within MC is a necessity. MC needs to update the Title Tool to work in 4K and at minimum incorporate some of the features that have been in Marquee for years. Sadly I have to agree 100% with this. Maybe a sensible compromise would be to have a frameflex type option added to the 3D Warp tool, so that if you happen to be linking to larger than project format, the option to resize using a frameflex method is available in that tool. On second thoughts that probably wouldn't work or at least would only work as with a timewarp, where the resize would have to be used first before any of the other 3D Warp options. -A 21st century title tool. 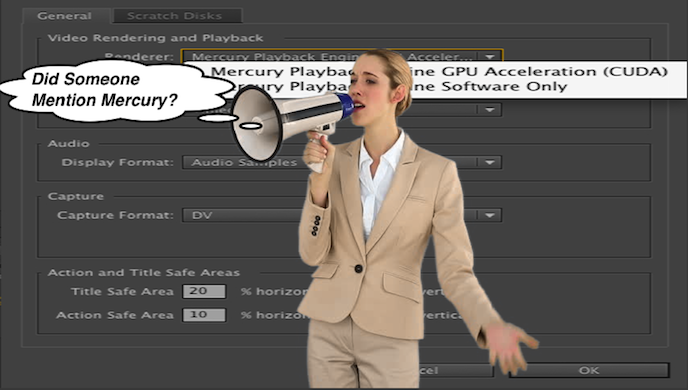 -A more efficient playback engine similar to Adobe's Mercury Playback engine. Ten years have past since this http://community.avid.com/forums/t/59857.aspx not much happened ever since, except for the unflexible FrameFlex, and Avid was already late at the time. We need true resolution indipendence, and that applies to the Avid Title Tool too. Sorry I'm late to the party. What specific deficiencies with frame flex are you referring to? I know there are several but calling out specifics would be useful. Yes, it does seem that a save-able FX, like 3D Warp would be very handy. I’m wondering if the new 8K Project/canvas, along with a Keep Original Size” Import or Link/Frameflex, opens up new possibilitites for using 3D Warp to accomplish a “Pan Zoom-type” FX.... once exported from 8K to (in my case) an HD sized file?